Used for quick connecting outdoor gas appliances in NYC to be compliant with NYC MEA Building Codes for Outdoor Gas Appliances. 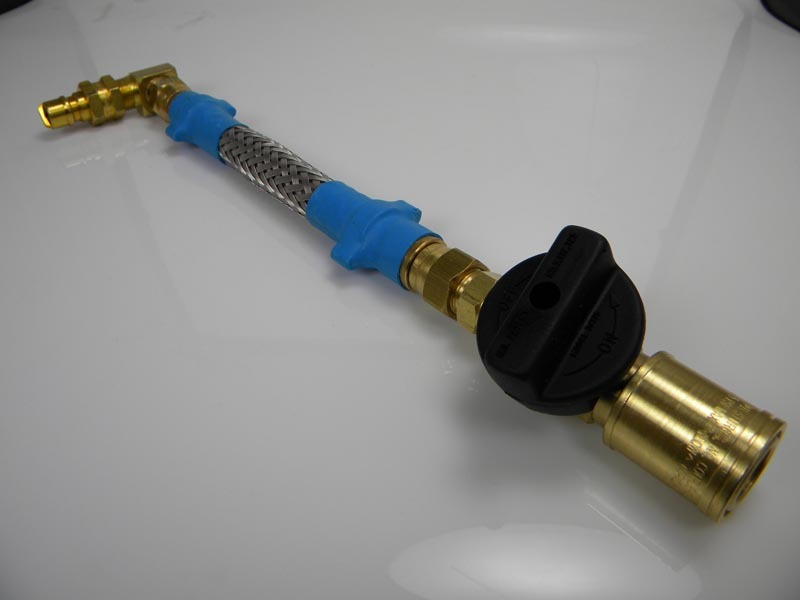 NYC MEA Approved Ball Valve Quick Disconnect Hose Assembly Allows Gas Shut-Off at the Appliance & Full Breakdown of the hose and appliance when not in use. 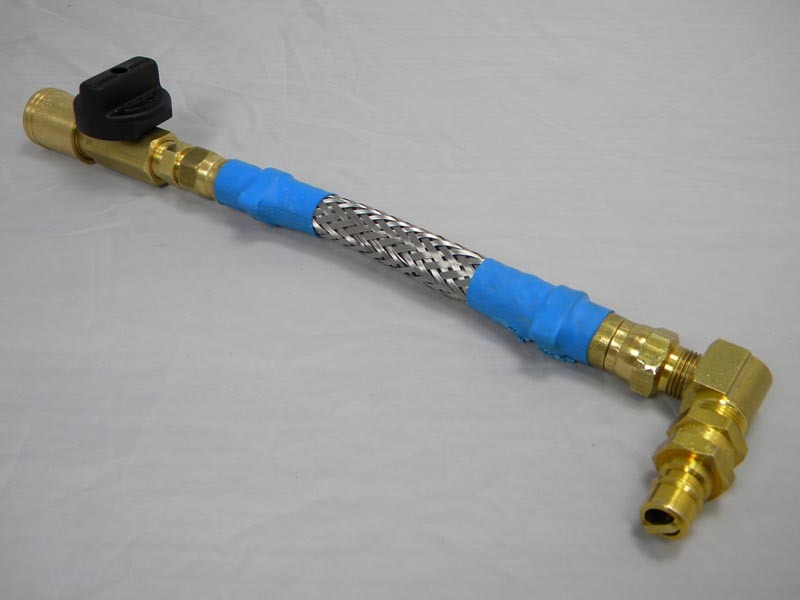 HOSE DESCRIPTION – 3/8″ ID Stripwound Hose with a 90º Male Plug X 3/8″ Ball Valve Quick Disconnnect. 96″ Overall Length. Can be custom made to any lenght (*NYC MEA requires length not to exceed 96″). COMPATABLE QUICK DISCONNECT – Commercial Gas Outlet Box. MB Sturgis part number 103316.